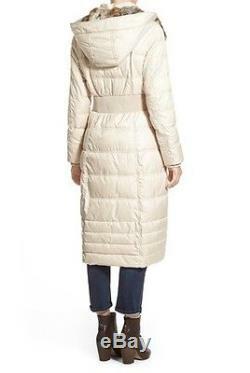 Laundry by Women's Winter quilted puffer faux fur hooded long coat plus 3X to 4X. 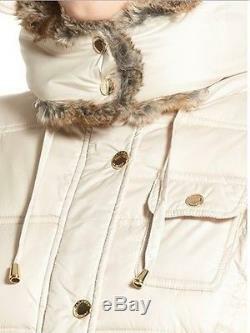 Puffer faux fur trim hooded down. 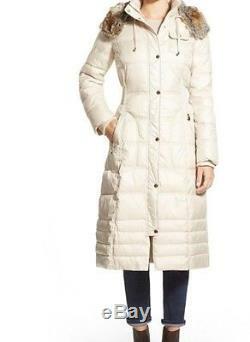 Please note that this coat might run little big to fit between size 3X to 4X. Bust 60" and hip 64". 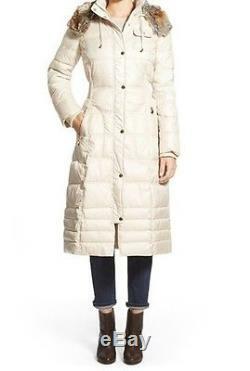 Bundle up: slip into Laundry by Design's super-cozy puffer coat to take on the coldest days! The faux-fur trim and maxi length add stylish accents to this essential. Removable hood with fake fur trim and lining Hidden front placket with zipper closure; snap goldtones closures at overlay Long sleeves Patch pocket with snap closures at chest; patch pockets with zipper at waist. Belt detail at waist Lined Polyester fill Heavyweight Hits below knee; approx. 47 inches long Polyester; lining: polyester; fill: polyester; faux fur: modacrylic; backing: polyester Machine washable Imported. I took the actual measurement for the coat as follow. BUST: from under arm to under arm all around the coat: 60. HIPS: all around the coat : 64. SLEEVES: From shoulder to cuff : 26. LENGTH: from the center neck to the hem: 47. 1 inches = 2.54 cm. International Women's Plus Size Conversion Chart. The item "Laundry by Women's Winter quilted puffer faux fur hooded long coat plus 3X to 4X" is in sale since Friday, November 9, 2018. This item is in the category "Clothing, Shoes & Accessories\Women's Clothing\Coats, Jackets & Vests". The seller is "tradefairny" and is located in East Elmhurst, New York. This item can be shipped worldwide.